When you just simply don't feel like plunking down several grand on a SureFire Hellfighter 5, but still want a high out put searchlight, the ARC 2 and 3 can offer relatively comparable performance with handheld capability as well as mounting to a vehicle. 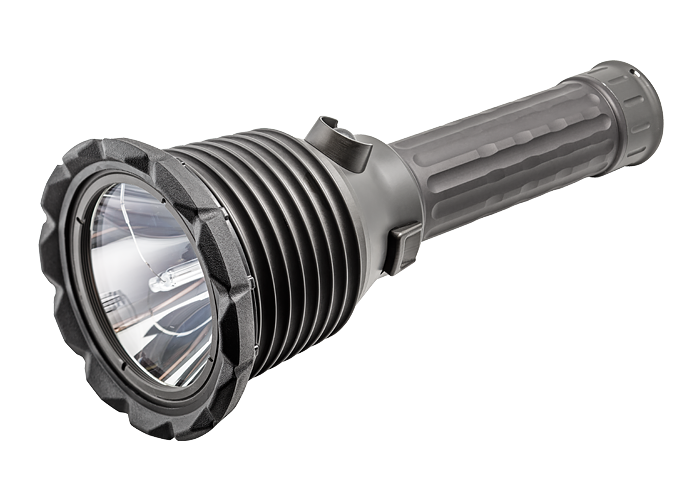 SureFire has release a teaser video showing the ARC 2 and ARC 3 in use out in the field. We are intrigued by the capability with a mile long beam and certainly want to see more demonstrations like this.